Commercially Sardaar Gabbart Singh is considered as a hit. The movie is breaking previous BO records and no wonder Pawan Kalyan fan following will never let you down. Sardaar Gabbar Singh’s budget was around 70 crores and with Overseas, Domestic Collection, the movie is yet to cross it very soon. Bobby was done with his direction, but there was some lag in first half. Pawan Kalyan’s story wasn’t up to the mark. But his agenda to entertain his fans was perfect. Kajal Agarwal played for role neatly, and Devi’s songs weren’t up to the mark. So there were some negative points of the film. It’s already four days. Sardaar Gabar Singh has managed to bag around 20. 92 Crores in AP and Telangana. The premier day collections in the US fetched about 4.10 Crores. On Friday, it was about 1.26 Cores in the US. So Sardar Gabar Singh ends at 26.28 Crores on day one which includes overseas. SGS has got the second highest USA openings in the history of Telugu Cinema. When it comes to 2nd day and 3rd day, Sardaar Gabar Singh showed a great fall in the collections. It might be due to critic reviews and all. The movie did a business of 7.5 and 7.8 Crores on Saturday and Sunday. 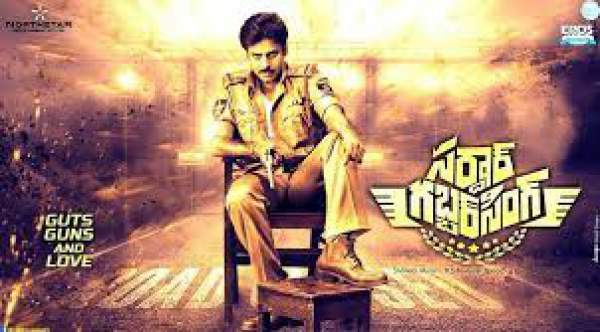 In overseas, Sardaar Gabbar Singh managed to bag about three crores and 2.3 Crores. So SGS ends at 41.4 Crores by the end of the opening weekend in India. When it comes to the complete world wide collections of Sardaar Singh, SGS ends at 73 Crores. On Monday, there was a fall in BO report; SGS managed to bag around five crores approx. SGS 4 days Collections ends at 66.16 Crores approx. Stay tuned for latest news and updates.